BirdsEye is a unique and powerful tool that helps you discover the birds around you and find the birds you want to see. 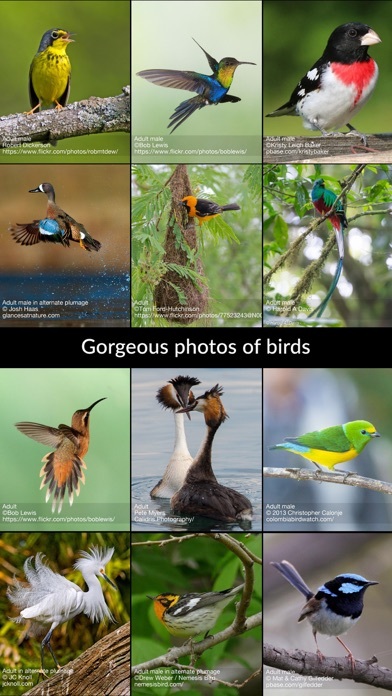 See more birds with BirdsEye! 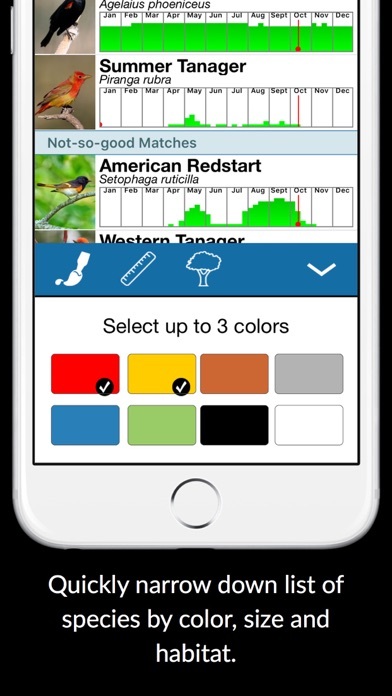 BirdsEye is the perfect tool for birders of any level, naturalists and educators. The free version of BirdsEye also includes stunning and detailed photographs from many top birders, bird photographers and guides. "Best invention for birding since binoculars"... Kenn Kaufman, author of the famed Kaufman Field Guides to Birds of North America "A landmark in birding"… John Fitzpatrick, Director, Cornell Laboratory of Ornithology BirdsEye is great for beginning and intermediate birders as a free download. Explore the 100 most common birds near you (or for any spot on earth), and learn about the birds you are most likely to see in your yard or the local park. When you are ready to see more, paid subscriptions give you access to every countable species in your region or worldwide. 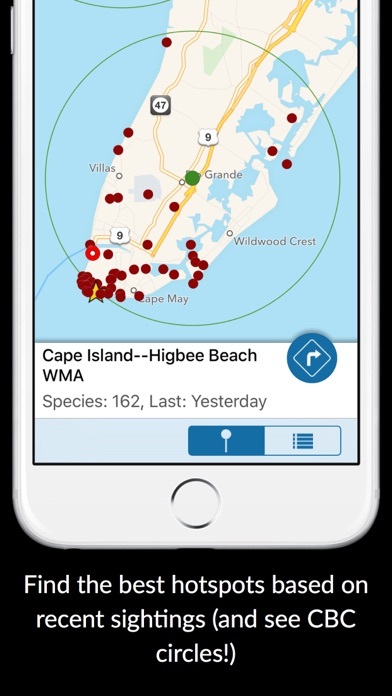 Features: INSTANT BIRD LISTS • See customized lists of birds reported recently near you, at birding hotspots, or any random point on earth! • Sea seasonal abundance for each bird for that location • View recent eBird sightings and get driving directions to each one INCREASE YOUR LIFE LIST • See a list of “needs” - species recently reported nearby that aren't on your selected life or year list • Reports of rare and notable birds in your area and across the ABA region • Automatically sync your life or year lists with eBird for the ABA area, world, country, state or even county! TRIP PLANNING • Find additional content in the Bird Guide Store for other continents, including sounds, images and bird-finding tips from local experts. • Set Favorite Locations for your destinations to scope out recent sightings • Get driving directions right to any hotspot or sighting • Support for bird names in several languages STORE We have partnered with Birdsounds.nl, the premier online store selling bird sounds packages for many regions around the world. Access these extensive collections of bird songs from right inside of BirdsEye. Currently available sound packages include: Bird Sounds of Costa Rica, Brazil, Nicaragua, Venezuela, Mexico, Northern Siberia, Sri Lanka, Australia, Peru, Colombia, Belgium and Holland, and Malaysia! Most BirdsEye functionality is available to all of our users. Certain premium features require a regional or world membership to unlock their full potential. Premium features include: • More checklists for species on the Rare Bird Alert • Rare Bird Alert - see the latest reported ABA rarities and eBird checklist • Search for Notables up to 250 miles from current location • Unlimited Favorite Locations • View Bird List for any month of the year • Downloading content for offline use A NOTE ON MEMBERSHIPS: In addition to regional memberships, we offer a World membership that gives you access to all of the birds on earth and several other features. 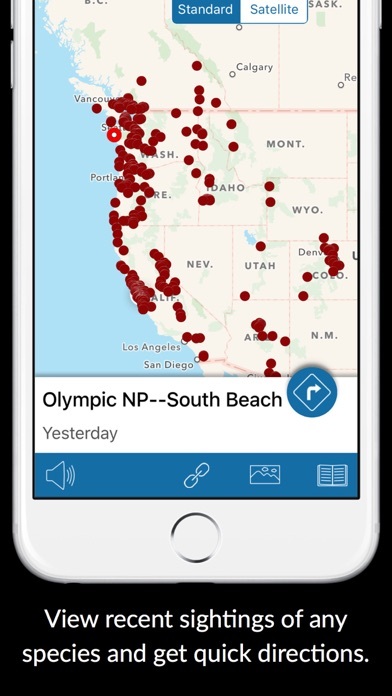 Your membership helps pay for our ongoing efforts to create the most innovative and powerful birding apps in the world. We do not and have never earned a profit on the sale of this app, but do it to support the birding community. Memberships, donations and the contributions of photos help us keep making BirdsEye better. To get your membership, just launch BirdsEye and go to the Store. You'll see a membership option. The first monthly payment will be charged to your iTunes Account when you confirm your purchase. Your BIRDSEYE memberships and subscriptions renew each month and your iTunes account will be charged automatically. You can turn off auto-renew at any point from your iTunes account settings. See birdseyebirding.com/privacy for more information. We are committed to supporting the birding community and bird conservation through the eBird project. Our goal is to encourage participation through BirdsEye. Ty for developing app to help Id and list birds seen in Peru. Workflow from id to listing on ebird within app is non-intuitive, repetitive and a long process. Could you please improve this UX? Contact me if you want to observe my UX and issues. Also, when does my list data synchronize to ebird lifelist? I added birds to my ebird list within this app, but they did not appear when I logged into my ebird lifelist. Thank you for this resource and help. I’m a subscriber and yet I’m constantly asked to RE-download the library of bird calls, etc. sometimes with no success. Needs refinement. I find this app indispensable when traveling to a new area where I am unfamiliar with the common and on common species. It is like talking to a local birder and hearing his local knowledge. 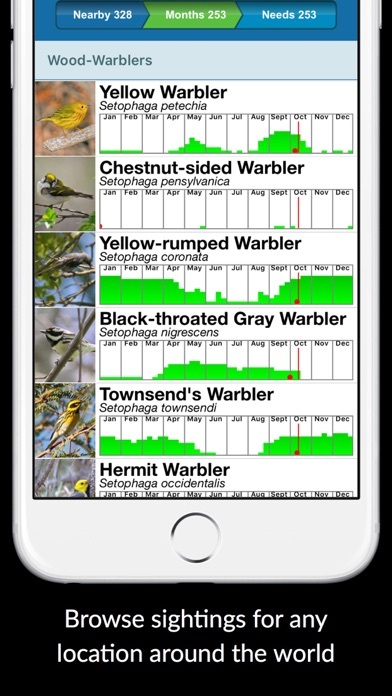 I am a new user of this app and am having so much fun identifying birds and learning about the birds in my area. Highly recommend this app to bird lovers or to those wanting to learn more about birds. Have had the app from beginning. I use this often, and wouldn’t found the bird otherwise! I used it locally , often. Thanks for a great program . Great app, just wish it wasn’t so insistent about having location turned on. I have used this app for several years, and love it. I’ve used it all over the world. I find it easy to help identify good spots to bird while I am traveling and The directions have worked quite well in most circumstances. Sometimes, for obvious reasons, you still have to walk around a little to find the heart of the birding location but that is to be expected. The refinements that have been made over the past year have been helpful and hopefully will continue. Happy birding.